Running unit tests against an ES6+ source code base has now become an almost trivial task, thanks to Babel and all the ecosystem around it. There are a lot of good resources explaining how to do that, with different tools and frameworks. This problem was solved by isparta, a code coverage tool for ES6+, using Babel, which provides code coverage reports using istanbul (which is also a code coverage tool … 😉 more infos here). Using isparta, you can generate code coverage from unit tests on ES6+ source code base, directly against your original source code (not the transpiled one). This works great, combined with tools like karma-coverage, you can output coverage reports under any format (html, lcov … that can be processed by various tools/services like Jenkins or coveralls.io …). About two weeks ago, @duglasduteil added the “No Maintenance Intended” badge to his module. This should remind us that behind every open source project there are developers maintaining them (most of the time on there free time). So, now may be the time to find a replacement for isparta … I was looking for an alternative for a few days when I eventually ended up on twitter with @kentcdodds who mentionned dtinth/babel-plugin-__coverage__. Since Babel v6, you can make your very own plugins that can do much more than simply transpile ES6+ to ES5. That’s what @dtinth has done with babel-plugin-__coverage__. He made a babel plugin that instrument your code, injecting metadata that will be processed by istambul (which is used under the hood by karma-coverage and other coverage report tools). Using a babel plugin for coverage is a no-brainer. You won’t have to add complex configuration or tools anymore. @dtinth‘s plugin is 300 LOC, it’s his first babel plugin that he made over two nights. As far as I have tested it, it works very well. This is clear that using a babel plugin for that kind of purpose is the right way to proceed. Since it’s becoming easier to setup, we might see more projects using ES6+ including code coverage reports in a near futur. You can see an example of setup on my project topheman/react-es6-redux. By default, webpack will tolerate any errors happening while bundling. It’s useful when you’re running in webpack-dev-server mode, however, when you’re making your final build you might want it to fail if any error happens (the main use case being when you’re testing the build step on your CI). For that, you can use the bail configuration option. But the very first thing to do is to drop the unnecessary code. For that, webpack provides the Webpack.DefinePlugin which lets you inject your own variables at build time, so that if they are set to false in a conditional, the minification step will drop the dead code. With this configuration, the code inside the if statement will be dropped at minification since it will be inlined as if(false). But you’ll still be importing those packages that you won’t be using (aka dead code). That way, if __DEVTOOLS__ === false, not only the calls inside this if statements will be dropped but the modules DevTools and logger wont even be part of the bundle, which will make it lighter. You already know those technologies ? Jump directly to how to setup Travis CI & SauceLabs for Protractor. What are Travis CI, SauceLabs & Protractor ? Protractor is an end-to-end test framework for AngularJS applications. It can also test any non-angular applications since it’s a wrapper around WebDriverJs (which controls the Selenium Server) and Jasmine (which brings the testing framework). Via Selenium, it will send commands to web browsers (like “click here” then “check if this is displayed”, “populate that field”, “submit the form” then “check if we are logged in” …). SauceLabs is a cross-browser automation tool built on top of Selenium WebDriver. It lets you run your end-to-end tests on multiple browsers and operating systems, in the cloud (you can run tests in multiple vms in parallel). It integrates very well in CI tools such as Travis CI. Travis CI is an open-source hosted, distributed continuous integration service used to build and test projects hosted at GitHub. You configure it with a simple .travis.yml file where you specify your CI workflow (you can launch test scripts as well as deploy scripts). It will try to build your project and run your tests on each push (on any branches, including pull-requests). It supports many languages and you’ll see a lot of open-source projects using it. Why use SauceLabs with Travis CI ? This part takes for granted that you already know how to run protractor tests in local. Follow these instructions to download the Travis Command Line Interface. Travis CI integration with SauceLabs automatically sets up a tunnel required to get started testing with. To do that we need to enable the Sauce Connect addon for Travis CI. 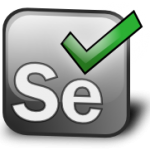 That way, the e2e tests launched on your Travis CI will be executed on SauceLabs’s Selenium server which in return will have access to the test server you’ll be running from your Travis CI – all this, via Sauce Connect’s encrypted tunnel. Feel free to customize it (if you don’t work with protractor but only Selenium WebDriver, it’s about the same). Don’t forget to add the task running protractor to the tests to be run by Travis CI on the .travis.yml file, in the script section. Keep in mind you’ll need a server to run your e2e tests against (this is not unit testing), so you will have to launch an instance of this server in the before_script part of the .travis.yml file. Since you are doing tests, this server might have to be in “test” mode (providing mock results on API endpoints for example). Even if your app is full front-end and doesn’t rely on a backend you built, you will have to provide a server to run your e2e tests on (this is my case on topheman/vanilla-es6-jspm). Good thing to know: when you develop in ES6 using runtime transpiling (like babel-runtime), a lot of different scripts are loaded (and evaled browser-side), which can raise timeouts SauceLabs-side (that you didn’t have on your local computer when running your e2e tests). To avoid that, run your e2e tests against a bundled version of your website (all scripts/assets bundled/concateneted in one or a few files). This will relieve the traffic on the sauce tunnel and the VM, SauceLabs-side (that may not be as powerfull as your computer). I set up Travis CI with SauceLabs for Protractor on my latest project: topheman/vanilla-es6-jspm, to have my e2e test being a part of my continuous integration workflow.